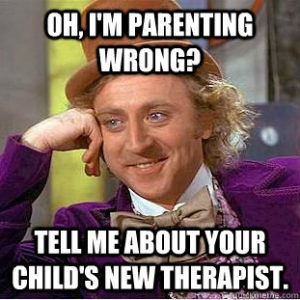 Don’t you just love good parenting advice? The kind that solves everything. The kind you get when someone actually understands your problems. The kind you ASKED FOR! 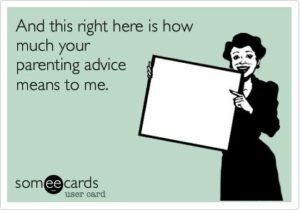 Unfortunately, more often than not, we get advice when we don’t ask for it and don’t want it. It’s good to chat problems and solutions, but only when both parties are willing participants. 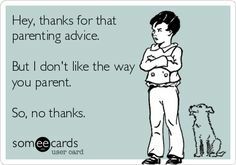 Here are some parenting advice memes that you can politely share next time someone tells you what to do. 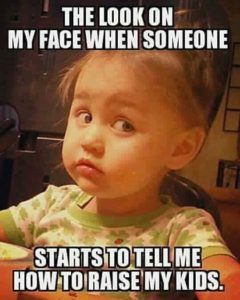 1 – It’s hard to keep a straight face when someone gets going on what’s best for babies and kids. 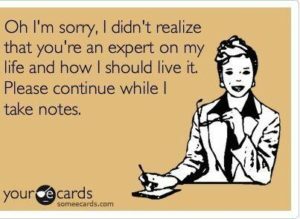 Especially when they’re obviously reading the situation all wrong. 2 – Sometimes being a good supportive friend is the opposite of what you’d expect. 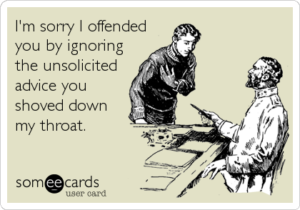 3 – It’s the best when you POLITELY ignore someone’s advice, but they make sure to follow up with you to check that you followed it. – No. I didn’t. Leave me alone. 4 – When my baby was small I kept getting advice about what to do for crying, sleeping, and feeding. 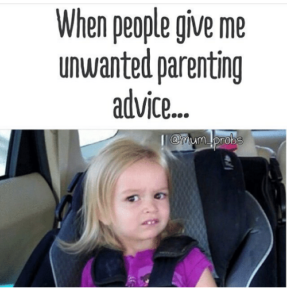 The best part (other than the part where I didn’t ask for this advice) was that those weren’t problems for us, AND the advice was always followed with – “well I tried everything and none of it worked for my baby”… No thanks then. 5 – To touch on the note above, it’s hard to keep your mouth shut when you get advice from a parent, but want your family to turn out NOTHING LIKE theirs. 6 – If I want it, I’ll ask. 7 – But really, we’re good over here. 9 – And that’s just the thing. There is no way you can know the dynamics of someone’s family and life. There is no one right way to do things, and when we mess up, we don’t need someone pointing it out to us… We’re all doing the best we can. 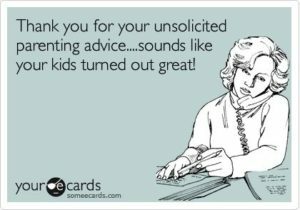 What’s the most annoying parenting and pregnancy advice you’ve received? Leave me a note on Instagram.